To determine the prevalence of calcified carotid artery atheromas (CCAAs) in panoramic radiographs of patients with type 2 diabetes mellitus. The panoramic radiographs of 751 patients referred to the Oromaxillofacial Radiology Department of the Dental Faculty of Shahid Sadoughi University for routine dental treatment were evaluated for CCAAs. In this descriptive study, the data for each patient were recorded on a questionnaire based on the medical history, an interview, and a physical examination. The prevalence of CCAA was compared statistically to determine the significance of atherogenic risk factors. Of the 751 patients studied, 75 showed signs of CCAAs in their radiographs (10%). Fifty-five of the 128 diabetics patients had CCAAs compared with only 20 of 623 nondiabetic patients (43% vs. 3.2%; P < 0.001). The prevalence of CCAA in 180 patients over 50 years of age was 28.9%, while the prevalence was only 4% in patients under 50 years. The prevalence of CCAAs on the radiographs of nondiabetic patients over age 50 was 11.8% versus 47.1% in diabetics over age 50 (P < 0.001). 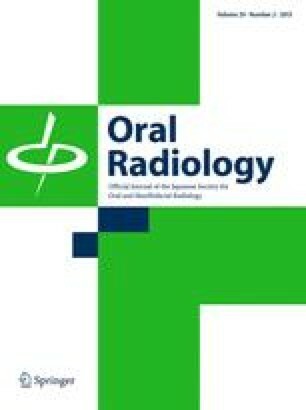 Individuals over age 50 and patients with diabetes mellitus have a greater prevalence of CCAAs in their panoramic radiographs than younger individuals and nondiabetic patients.